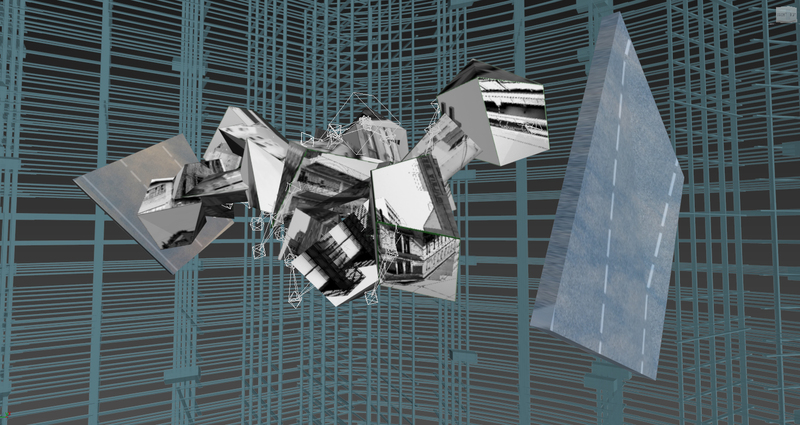 “Polispective” is an interactive audiovisual installation in the form of a virtual environment. It investigates a hybrid type of space, in which abstract synthetic spatial elements are interwoven with urban physical environmental imagery for creating an audiovisual spatial experience. 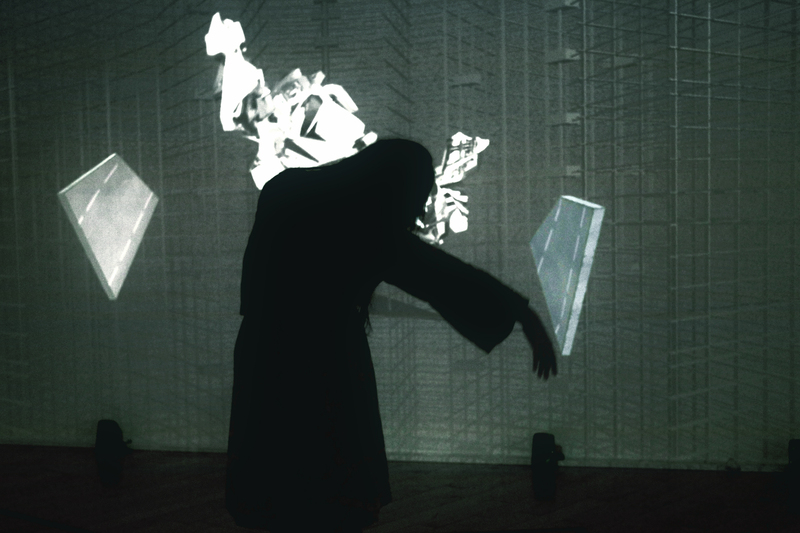 Each member of the audience can playfully interact with and manipulate the aforementioned elements, thus altering the three-dimensional solid form of the digital artifacts. 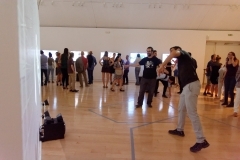 Furthermore, the installation supports interaction between two or more members of the audience, hence fostering some form of social interaction amongst them, while they are transforming the audiovisual composition. 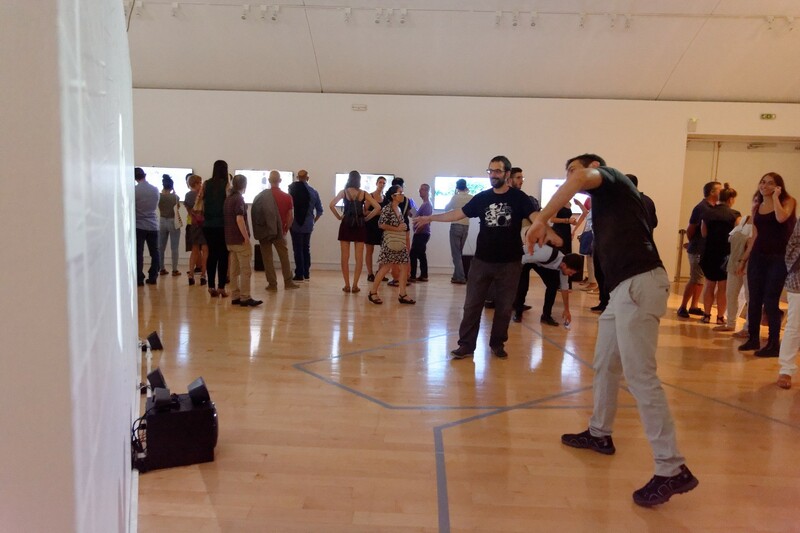 This collaborative process may culminate in a synchronization of the audience members’ movements, thus diminishing the distance between the two environmental contexts of the installation; the digital and the physical. Therefore, audience members assume the role of performers, pushing the boundaries between the creators and the audience, virtual and physical space, the spatial context of the exhibition space and the urban environment, eventually becoming engaged in a hybrid spatial artistic experience. 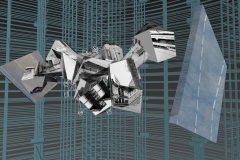 “Polispective” acts as a window to discover the hidden cityscape of Athens, as it is being re-interpreted within the abstract immaterial spatiality of a virtual environment. The window in question assumes the form of a projection through which the audience is able to manipulate aspects of the audiovisual composition by means of their bodily movement within physical space. The visual composition comprises of multiple perspectives of the Athenian cityscape that often escape notice by the citizens during their everyday routine. Photographs of the “ridge” formed by consecutive rooftops, neighbourhood alleys and building perspectives that often go unnoticed by citizens wrap around the digital artifacts, resulting in a composition wherein each artifact hosts multiple perspectives of the cityscape. These artifacts are then held together by a skeletal type structure onto a larger scale composition. Embodied interaction of the audience participants manipulates this skeletal structure, ultimately resulting in a continuous deconstruction/ reconstruction of the overall visual composition. This interaction also formulates the auditory environment of the installation. Each visual element emits a certain sound. As a member of the audience interacts with the virtual environment, changes in the morphology of a visual object also affect certain parameters of the sound that it emits, thus resulting in an engaging continuously evolving audiovisual hybrid spatial experience. The audio composition partly comprises of urban environmental sounds; however, when the installation is inactive, it emits rural environmental sounds, highlighting the contrast between the tranquility of the rural landscape and the intensity of city life.